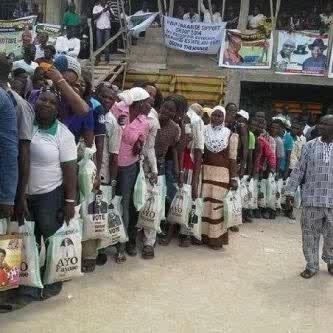 With elections already on in certain states of Nigeria, and the general elections just around the corner, politicians have devised ways of hoodwinking hungry and not-so-hungry but naive electorate with GIFTS – of the Greek type. 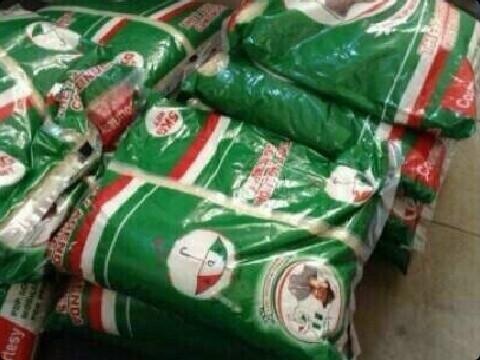 While those seeking elections for the first time are desperate to get on the looting gravy train, those already in office seeking re-elections to add to to the cushioning future lives – to quote an op-ed writer in one of Nigeria’s dailies – have built in these “gifts” into their development projects. To be fair, there are a very few incumbents who are allowing their work to speak for them but for the vast majority of state governors, re-election means taking money from state treasuries to buy these items to distribute as their contribution to “alleviating poverty”. Now, talk of citizens being taken on more than a ride, a spin, really. 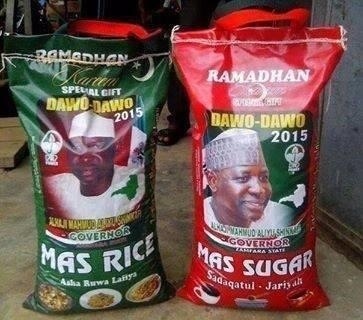 AND SOMEWHERE IN NORTHERN NIGERIA, where education lags far behind Southern Nigeria’s, come these bags of rice and sugar “for Ramadan”, the Muslims’ fasting period which is not about deceiving people.